Diana Razumny is an internationally certified Feldenkrais® Practitioner and Trainer. 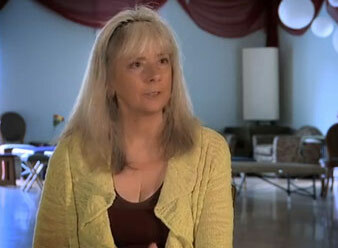 Her work with people started over thirty years ago and since then she has studied and practiced many modalities. She studied with Milton Trager and Gay and Katie Hendricks. She studied Aikido with Wendy Palmer, George Leonard, Richard Heckler and Frank Doran. She met Dr. Feldenkrais in the late 70’s which started her on the path towards becoming a practitioner. From there, intensive study, experience and organizing trainings led her to join the ranks of Feldenkrais trainers and then to an even smaller group of Educational Directors for Feldenkrais Training Programs. Besides Dr. Feldenkrais, trainers who had the most influence on her growth in the method were Mark Reese, Dennis Leri and Yvan Joly. For more than 20 years she has guided thousands of individuals in Awareness Through Movement® classes in the United States, Europe, South America and Asia. Diana works with a range of people from those that are challenged by neurological difficulties to athletes, performing artists, writers, visual artists as well as those recovering from injury or simply want to realize more of their potential. Her playfulness and love for movement give a special quality to her teaching. She is co-owner of Movement Educators, who have been producing Feldenkrais Training Programs for 14 years. She has been Education Director for three of her own professional trainings. Her latest passion is to find a way to share the powerful personal transformation that happens in the professional training programs with those not necessarily interested in becoming a practitioner. Her new Feldenkrais training format is called The Journey Inward.